South Terrace is a personal training studio which incorporates a variety of cardio-vascular and weight-training exercises so that your interest and motivation are maintained, while providing you with the total fitness package. In this way, we feel it will be easier for you to make a long term commitment to your health and fitness. Each workout is supervised and you will work to your optimal level – efficient training, enjoyment and reduced risk of over-training. Apart of a holistic Centre combined with S.A. 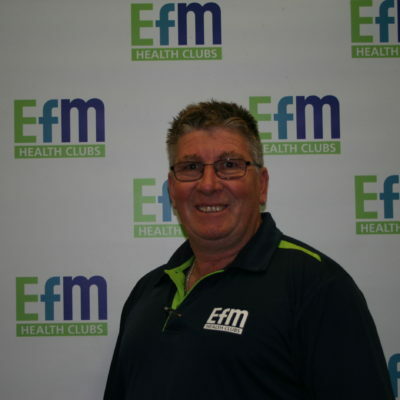 Sport Medicine Centre, we provides membership opportunities for the people of Adelaide City. We pride ourselves on quality of service and after more than 25 years of operation, we believe we have found a proven formula for success in fitness, weight loss and general well-being. Supervised Group Training Sessions: The most popular classes on our time table. You will be guided through a program that challenges you. And you leave every session knowing that you have achieved something great. Personal Training: The entire South Terrace EFM studio is yours as our Personal Trainer coach tailors a session specifically for you! There is no escape from working hard. The outcome, GREAT RESULTS. Clean eating, hard work, functional movements, friendship and a laugh here and there are all a part of the winning formula. You will get all this with me! Event Training Programs: A 3 month plan, broken into 4 week programs, designed to conquer a specific goal. The programs focus on Finish Time Aspirations, Life Style Balance, Injury Prevention & Maintenance, Nutrition and Recovery. Whether it’s a marathon/ironman event/triathlon/cycling. EFM will help you make a life long goal REALITY.